You will Watch Avengers Assemble Season 2 Episode 17 online for free episodes with HQ / high quality. 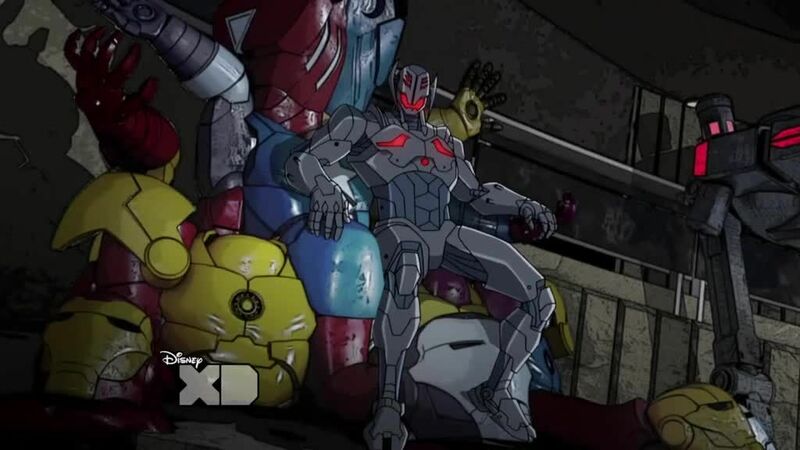 Stream cartoons Avengers Assemble S02E17 The Ultron Outbreak. The Avengers reunite when Captain America and Iron Man learn to appreciate their differences while trying to save the world from ultimate destruction at the hands of Ultron who uses a special nano-virus to turn the humans into Ultron Sentinels. As Ant-Man works on a cure for the nano-virus, the Avengers work to defeat Ultron before everyone on Earth is converted into Ultron Sentinels. In the end, the Avengers allow Arsenal to temporary re-gain control of his body, and he sacrifices himself to defeat Ultron by blasting off to the sun. 4.5 / 5 - 66 ratings.